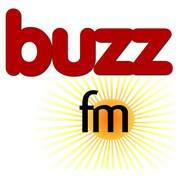 Buzz is a unique non-stop mix of music, comedy, news and information 24-7. The radio station’s popularity has grown over the years with quality music selections, trusted news content and tight professional presentation. Buzz has a stable internet transmission across all The Canary Islands and Europe. Dedicated Apps are available in the I-Phone and Google Stores, Bose Soundtouch Samsung Apps and a ‘listen now’ facility on the Holabuzz.com website.